This statistic shows the print and digital reach of the leading general magazine titles in the United Kingdom (UK) from January 2018 to December 2018. 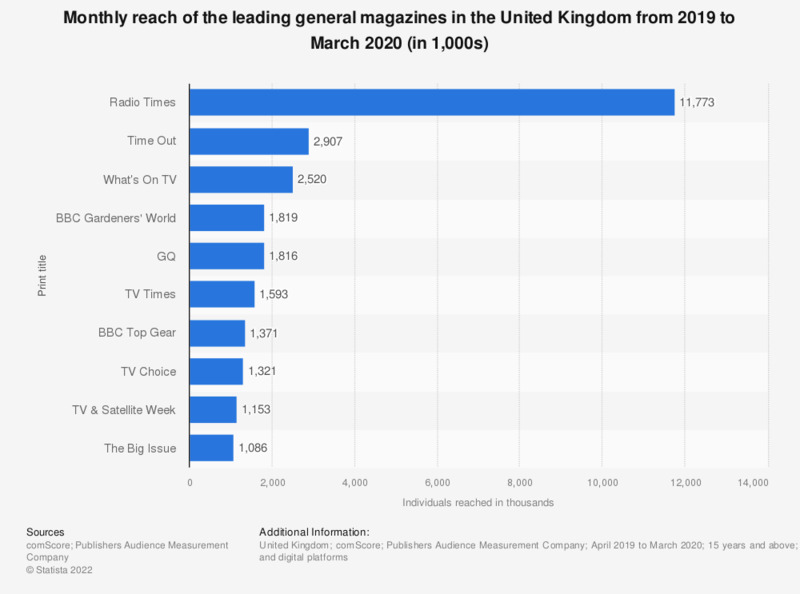 The Radio Times (radiotimes.com) had a combined online and print reach of roughly 8.8 million individuals while Time Out magazine (timeout.com) reached approximately four million readers and viewers monthly. * The source adds the following information: "All brands listed have estimates published across print AND digital platforms.